A&H Building Designs are a team of qualified Architectural Technologists, covering the Hampshire, Dorset and Wiltshire area. 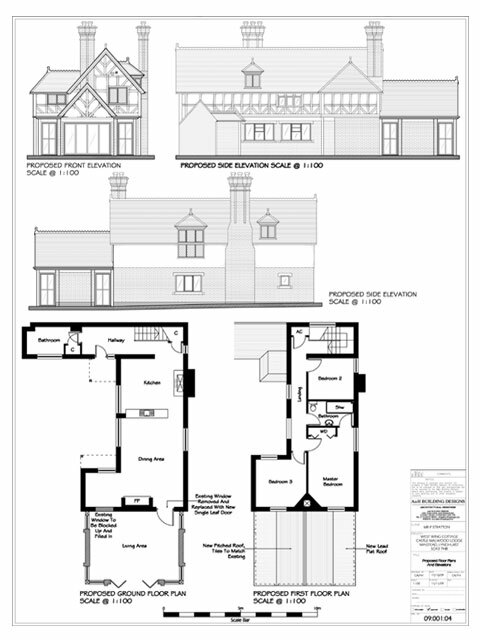 We design detailed building plans prepared and submitted for local authority planning permission and building regulations approval. We offer a professional and bespoke service for each client to ensure you get the design you desire. The service we provide suits each individual, as our priority is to focus on your requirements. A free initial site visit and written quotation is guaranteed. Please browse through our site, and if you would like more information, friendly advice or to have an informal chat about your requirements please complete the contact details on the contact us page and we will be in touch with you shortly. Alternatively please call the office and speak to a member of our experienced Architectural team and we can discuss your project further without obligation. A&H Building Designs are a team of fully qualified Architectural Technologists who have worked on a variety of projects and sites ranging from listed buildings, hotels, manor estates, commercial developments, residential new builds, extensions and refurbishments. Being based in The New Forest we regularly work within the conservation area and are very familiar with listed buildings. We can confidently assure our clients, through these enthusiastic and experienced professionals, we have the necessary skills and procedures to achieve your project goals from inception through to completion. A&H Building Designs is based near Lyndhurst, New Forest and covers projects throughout Hampshire and South of England. We are easy to get to and always welcome a visit. We pride ourselves on excellent customer service and approach projects in a professional manner. As our Clients are putting a lot of their time and money into our services we provide a personal relationship with them, we are always happy to receive a phone call to chat about your project, and welcome any queries and suggestions regarding your project and our services, as we believe no project is too small. Our designs are energy efficient, saving you running costs and making your home more comfortable. We can incorporate renewable energy technology and address sustainability when eco friendly designs are required. 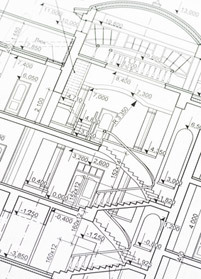 We can provide you with detailed drawings to enable accurate costing to be obtained. It is our belief that Architecture should be harmoniously linked to microclimate, context, and both local and global sites. As a result, we promote the sale and use of local building materials, employ energy and resource efficient design strategies and actively practice green Architecture. In conjunction with these aims, we produce designs, which are unique to each client and site. 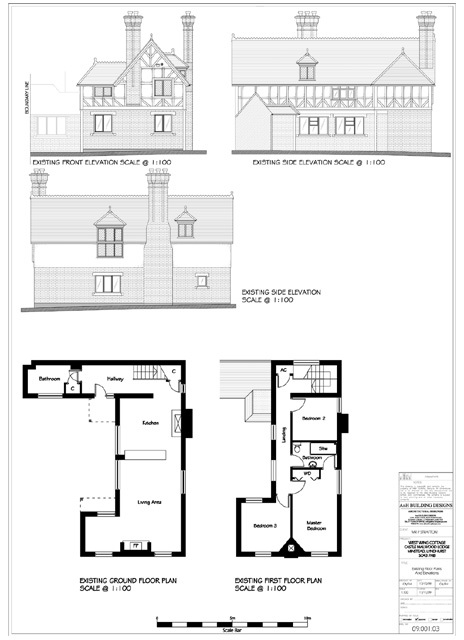 Our initial consultation and site visit is free of charge, which we follow up with a free written quotation. A&H Building Designs is fully covered by Professional Indemnity Insurance and all members of the design team are Health and Safety qualified. At A&H Building Designs, we are committed to providing our clients with innovative design solutions for each individual project that result from a highly investigative design process, a studied analysis of traditional and contemporary construction methods, commitment to researching sustainable technologies and resourcing efficient construction materials. We adopt a vigilant and proactive method of assuring quality of design, timely production of information, specification and detailing resolution through a commitment to the management of the design process. We feel it is essential to establish a clear system of communication and contact between our clients and the design team. This ensures decisions are taken in a structured and unambiguous manner with proper records kept. The client will be kept regularly and fully informed through the progress of their project. 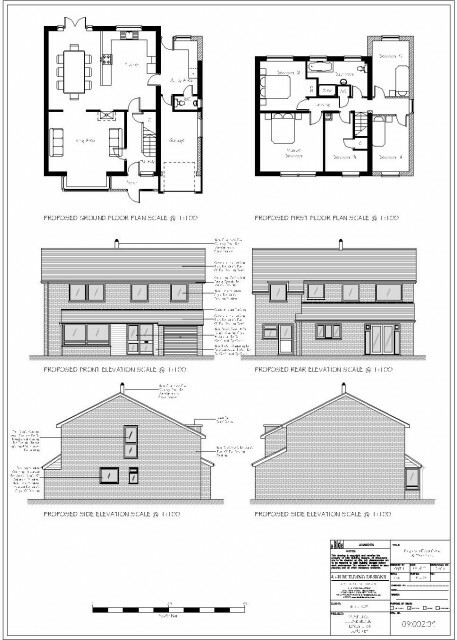 We will provide you with draft plans and design options for you to determine the best scheme for your needs before applying for Local Authority approval. 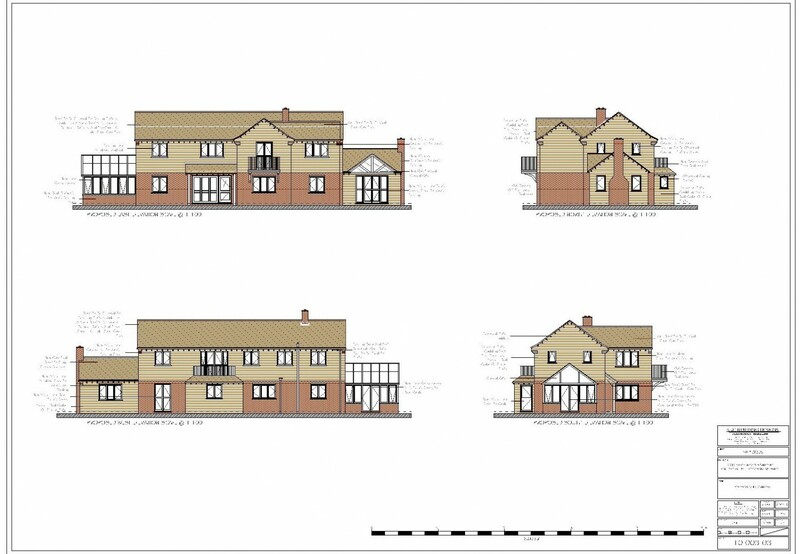 If you require, there will be a pre-application negotiation with the council, this is to help get your design approved. 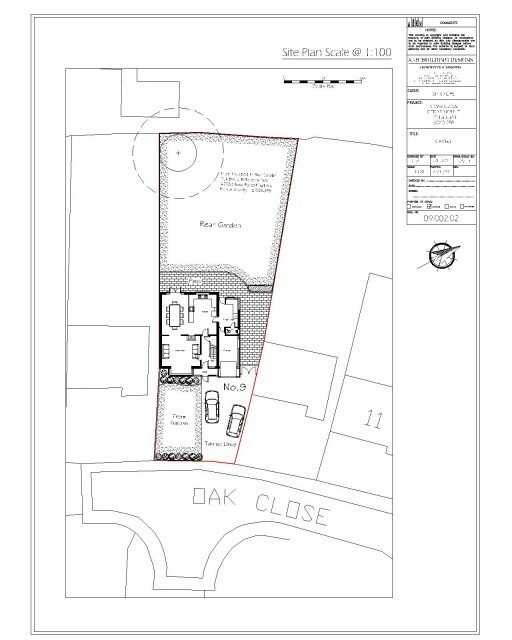 We will package your final designs and planning application as your agent, and respond to any queries raised before approval. 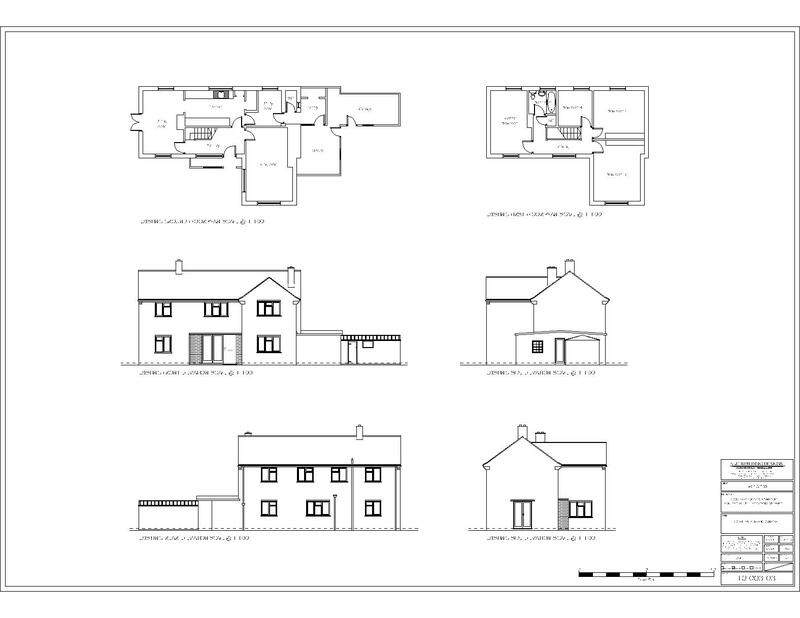 Working drawings, sections and notes to Building Regulations and all other statutory requirements will be provided for you. Detailed interior design ideas/ 3D designs will be provided if required. We will seek the best prices from suppliers and builders and recommend the right and local ones to you. Once all necessary approvals have been sought, we will work along side yourselves and the builders throughout the construction process. Any work that we carry out must meet the requirements of Planning Permissions and Building Regulations, both administered by your council. Providing the council with the right information at the right time is essential. We are more than happy to give advice, apply and negotiate on your behalf, saving time and money. Planning approval seeks to improve and protect the quality of our environment. Planning isn’t simply concerned with new homes or building extensions. It can apply to simpler work such as fitting a new door to an existing building. Building Regulations cover matters as diverse as acoustics, drainage and disabled access, as well as simple alterations, such as removing a structural wall. Other permissions, such as Listed Building consent, required for any work that may affect the character of a building, internally and externally, or Conservation Area consent, might also be required. 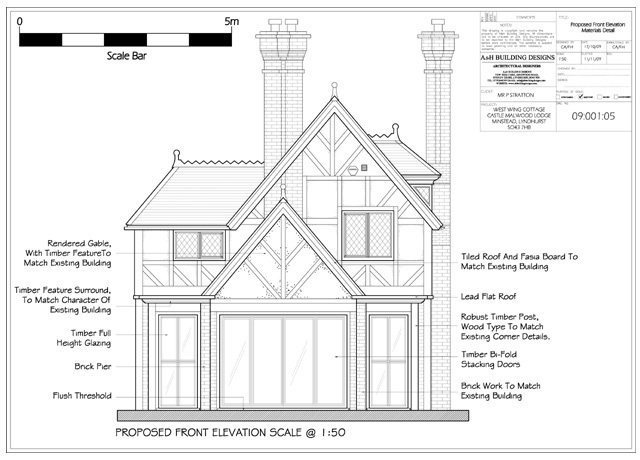 (For information and advice on Planning Permission and Building Regulations, follow the links on our links page). If you have any questions or special requests, feel free to contact us and we will discuss in further detail to meet all your needs and requirements. 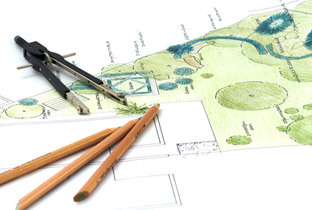 What type of design services can an Architectural Technologist provide? The nature and scope of an Architectural Technologist’s design services are matters for agreement between you and your Architectural Technologist. 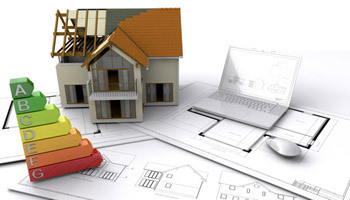 However, design services for construction works to a domestic property, for example, usually include the preparation of plans and drawings for the proposed works and preparation of the specification. The specification normally sets out how the works should be constructed, the nature of the materials to be used and the standards required of the builder. Your Architectural Technologist will discuss your design requirements with you and can advise upon the type and quality of materials for use in the proposed work. 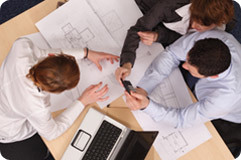 What do Architectural Technologists do? 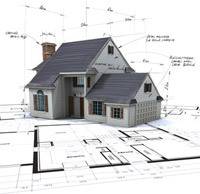 Architectural Technologists provide architectural designs services and solutions. They specialise in the science of architecture, building design and construction, and form the link between your requirements and the delivery of building work. They can negotiate the construction project and manage the process from inception through to completion. 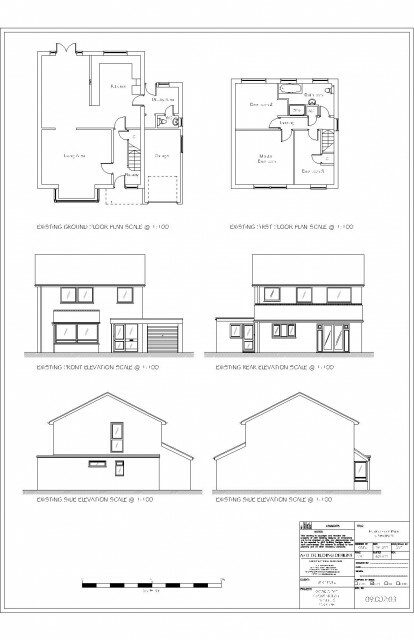 Planning permission is usually required for most developments, however, smaller extensions and certain loft conversions may be allowed under your permitted development right. You should be advised of the appropriate Planning process to meet the requirements of your project during the initial consultation. There are also other permissions that are required, the common being for Listed Building Consent, Conservation Area Approval, Tree Preservation Orders. Once Approved you have three years to start the building work. Professional Indemnity Insurance (PII) is an insurance cover to protect professionals against insurance liability to third parties in respect of breaches of professional duty committed in the course of professional practice. How do I go about employing a builder? You may already know which builder you wish to employ, but if you do not already have one in mind, you can seek assistance from your Architectural Technologist in the selection and employment of a builder. Factors which often influence the selection of suitable builders include their skills and experience, track record, solvency, whether they have appropriate insurances in place and their availability. It is advisable to obtain more than one quotation. Any conflicts of interest with any professional who is acting for you should be declared in writing and understood. Do I need to employ the builder myself? Yes. It is fundamentally important to realise that you will be employing the builder and you will be responsible for paying the builder to carry out and complete the building work. In turn, the builder is responsible for carrying out the work in accordance with the Architectural Technologist’s design, in accordance with good building practice, and within the timescales that you agree. For the purposes of certainty and to avoid disputes later on, the agreement between you and your builder should be set out in a formal written document, usually called a “Building Contract”. Your Architectural Technologist will be able to advise you upon the appropriate form of contract to use. Undertaking building work is a big investment and can be very disruptive so it’s important to limit the chances of things going wrong. The information below gives a quick guidance on how to limit the potential for problems on small scale domestic building work. When you are considering a builder use recommendations and references. Ring previous clients; did the builder complete on time? How were they to deal with? Punctual? Reliable? etc. Be clear about the work which the builder is to do and convey this information accurately to them. Fix the scope of the work and the price. Ask at least six builders to quote in order to get at least three competitive quotes. Analyse each quotation carefully and compare against each other. Have a contingency of around 10% to cover unforeseen circumstances, these are usually in the ground (poor ground conditions or service diversions) or where opening up an existing structure (rot or unstable structure). Agree in writing start / finish dates and schedule of works / programme. Ensure you have all the relevant approvals in place i.e. Planning Permission, Building Regulations, Party Wall Act agreements before work starts. Ensure the project insurances and at the appropriate level of cover. No payment in advance. Pay in instalments as work progresses. Do not over pay the top for early stage work. Do not pay for unsatisfactory work. Do not pay for materials in advance. Only pay for work when you receive an invoice. Don’t pay cash. Ensure builder notifies delays/costs and reason for delays/costs as soon as they occur. Make notes of any delays and their causes. Hold regular site/progress meetings. Check progress against a schedule of works or programme provided by the builder. Avoid changes of mind and variations to the works originally agreed. These will very likely cause additional expense and extensions of time. Agree changes in writing as well as costs and time implication prior to new or additional work being started. http://www.labc.uk.com/building-regulations LABC has information on Local Authority Control Departments. 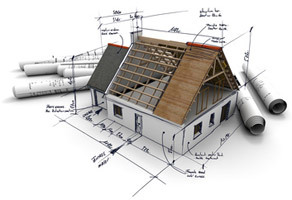 There are explanations of what the Building Regulations are and what their purpose is. The website also provides a searchable database for the Department in your local area where you will be able to find the relevant contact details, costs and often a facility for the downloading of the forms you will require for your application. www.planningportal.gov.uk Planning Portal has access to all National and Local government resources. There are searchable database of all Local Authority planning departments with their contact details, many offer the facility to download the forms you require for your application. www.communities.gov.uk Communities and Local Government is responsible for national policy on building regulations, which exist principally to ensure the health, safety, welfare and convenience of people in and around buildings, and the water and energy efficiency of buildings. The regulations apply to most new buildings and many alterations of existing buildings in England and Wales, whether domestic, commercial or industrial. www.vizzitnewforest.com New Forest National Park Online Magazine – Vizzit your guide to local business, accommodation and entertainment in the New Forest. The comprehensive guide provides information on the New Forest such as New Forest Accommodation, New Forest Events and Entertainment, the New Forest Video, New Forest Weddings, New Forest Restaurants, New Forest Towns and Villages, New Forest Food and Drink, New Forest Activities, New Forest Children’s Activities, the New Forest Pony, New Forest Tides and Weather, New Forest Local News, New Forest Business News, New Forest Green Tourism and New Forest Business Directory, New Forest Web Design and Video Production. www.newforestnpa.gov.uk This website contains information about visiting, living in, looking after, learning about, news and planning in the New Forest National Park. Enjoy. This project involved incorporating an addition to a Grade II Listed Building, located within the conservation area of the New Forest National Park. The Tudor style hunters lodge was built in the early 18th century and was later converted and divided into residential housing. The design brief was to gain additional living space. This project involved providing an extension above the existing garage, located within the New Forest National Park. 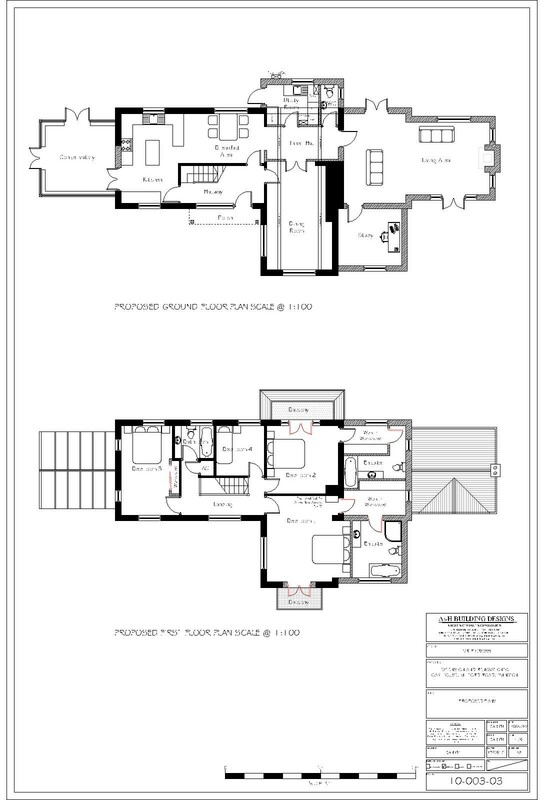 The design brief was to gain additional living space on the first floor. If you would like any help or advice, to have an informal chat about your project requirements or have any questions about the services we provide, please do not hesitate to contact us anytime. You can either call us or E-mail the details.